If you fancy a trip to the Middle East, why not check out the seductive and glorious Arab state of Oman? This might not rank on most people’s lists of top places to visit, but it’s a highly underrated place to go for a vacation. Positioned at the mouth of the Persian Gulf, Oman is one of the most beautiful and accessible countries in the world. Oman has seen a staggering level of development over the past four decades and is hugely popular among tourists these days. With a rich and varied history, stunning landscapes, and friendly people taking a trip to Oman is a no-brainer. A slice of bronzed, sun-kissed desert beauty, Oman is a place you can’t help but be bowled over by. And, it’s important to try to find out about the best places in Oman to visit, and what you absolutely have to experience while you’re here. If you’re feeling adventurous, you should head to the northernmost point of Oman. Separated from the country by the coast of the UAE, Musandam is one of the hidden gems of Oman. Often referred to as the ‘Arabian Norway’ this is the perfect place to enjoy diversity. Here you will find large jagged cliffs that plunge into the deep blue waters of the Gulf of Oman, and you will be able to experience the incredible fjords here. Don’t think that it’s only Scandinavia that boasts fjords! This is one of the best places to visit in Oman, and one of the hidden gems of the country. Because there is so much glorious desert here, you would be doing a disservice if you didn’t get out and explore it. These iconic and beautiful dunes are a popular tourist hotspot (geddit?). The diversity of the terrain is intriguing, and it’s just so beautiful to look at. Bear in mind that locally these are referred to as the Wahiba Sands, so make sure you call them that when you’re in Oman! It’s the perfect chance to see something unique, as well as allowing you to interact with the bedouins who live a nomadic life out here as well. This iconic and artistic fort is literally carved into stone and is one of the most impressive walled cities in the world. The historic fortress is said to have been designed by women 600 years ago and is one of the most historic landmarks in the country. Make sure you head to the foot of the Djebel Akhdar highlands to come face to face with this incredible UNESCO World Heritage site. 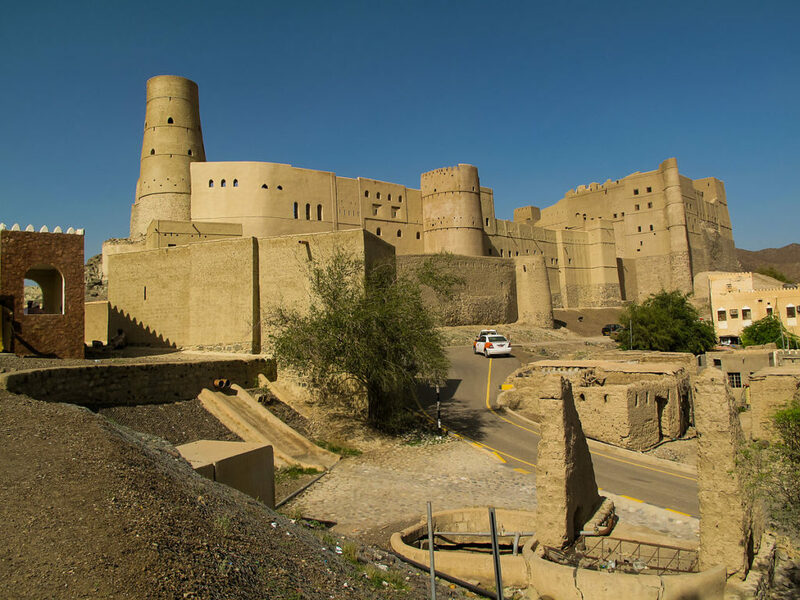 If you want to get a feel for some of the great culture and history of Oman, this is certainly one of the places you need to visit. 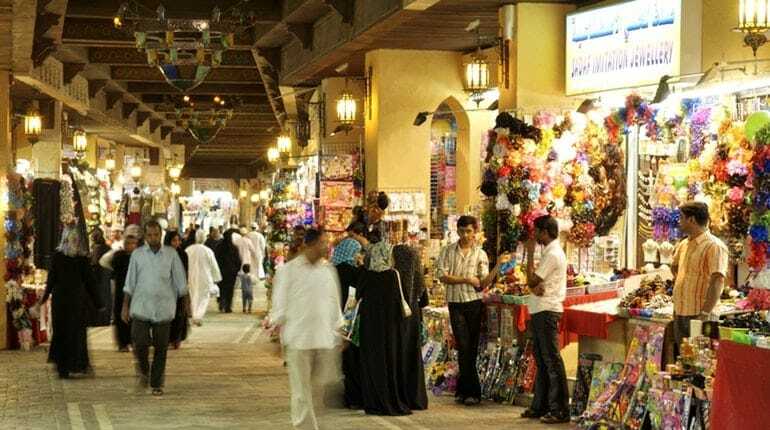 If you want a true slice of Omani culture head for the capital Muscat and check out the authentic souq – an Omani/Arabic market. It has the wonderfully chaotic nature of most Arabic markets, except that it’s indoors. You will become faintly aware of the scent of frankincense as you wander the lanes examining the silk, gold, and souvenirs on display. This is the perfect place to go and buy a token or souvenir to help you remember your trip. These are just some of the great highlights of visiting Oman. Of course, you might already have your set itinerary and to-do list, but, these are some of the things we definitely recommend you do. This magical land is full of secrets that should be uncovered, and you will want to go deep into the heart of Oman to find them – time to enjoy some of those Arabian nights!